Estos hoteles de Costa Rica y otros alojamientos son mis favoritos para hospedarme cuando estoy viajando. Hemos conocido a muchos de los propietarios y gerentes y creemos que sus precios son justos para la calidad de las habitaciones que ofrecen. 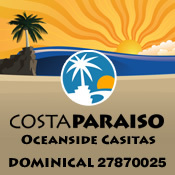 Desde hostales hasta resorts de lujo con todo incluido, la lista a continuación los tiene todos. Si vé una (R), eso significa que hay una revisión escrita sobre el lugar, a veces con fotos. Haga clic en (R) para leerlos todos. Si ve este símbolo, significa que el hotel tiene un Certificado de Turismo Sostenible. 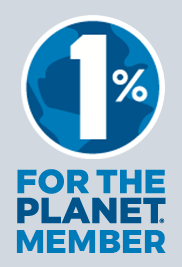 Esto significa que el hotel cuida su entorno natural, cuenta con políticas y tecnología de ahorro de energía, contaminación del agua y manejo de desechos, y contribuye al crecimiento de la comunidad local. Si está buscando un alojamiento más grande con más comodidades y comodidad que una habitación de hotel, puede consultar una compañía recomendada por CRSurf llamada SellMyTimeshareNow.com para encontrar un alquiler asequible de tiempo compartido en Costa Rica. Description: Convenient to both Central San Jose and the Juan Santamaria International Airport (SJO), Adventure Inn has large, modern, spotlessly clean deluxe rooms each with A/C, cable, telephones, a room safe, and large tiled bath. Start every morning enjoying a complimentary all-you-can-eat American / Tico-style breakfast in our MoonGlow Eatery served from 6 to 10 am. After a day exploring smoldering volcanoes, steamy rainforest canopies, thundering waterfalls or the action of nearby San Jose, you and the kids can relax and unwind in their solar-heated outdoor infinity pool and Jacuzzi. Free airport shuttle included. Description: located in Río Segundo de Alajuela. 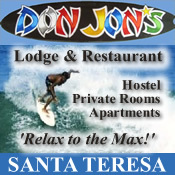 Only 2 minutes from Juan Santamaria International Airport. 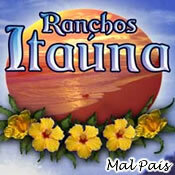 Description: Free transportation to/from the Juan Santamaria International Airport. Description: At El Silencio del Campo, we have built a cozy atmosphere for the visitor as we are more than willing to provide services that exceed all expectations with a warm smile, proving our uncompromising commitment to foster a friendship with those who come to us in search of harmony with nature and the sense of being just one step below heaven itself.. Description: DISCOVER nature, EXPLORE the Arenal Volcano, RELAX in our unique destination! Treat yourself to the most stunning views of Arenal Volcano and Lake Arenal in Costa Rica at Arenal Observatory Lodge & Spa. Description: The Hotel Tamarindo Diria Beach Resort Costa Rica is the iconic beach resort located in Tamarindo Beach, Guanacaste, Costa Rica, with its own personality, perfect for an authentic Costa Rica vacation. 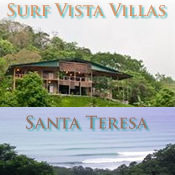 Features direct access to the most famous costa rican white sand beach, front ocean view accommodations, 4 swimming pools, restaurants, bars, casino and much more! Description: Property Location Located in Tamarindo, The Chocolate Hotel is by the ocean and close to Tamarindo Beach and Grande Beach. 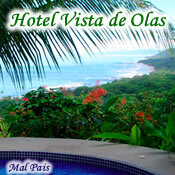 This hotel is within the vicinity of Hacienda Pinilla Golf Course and Las Baulas de Guanacaste National Marine Park.. Description: Buena Vista vacation rentals are located at the beaches of Nosara, Costa Rica on a secluded ridge overlooking Playas Guiones, Pelada and Ostional. Surrounded by pristine parklands, the serenity and beauty of this mountaintop retreat is inspirational... yet is only a few minutes from beaches, restaurants, shopping, airport and other conveniences. Casa Buena Vista offers 2 large bedrooms with 2 private baths, a big kitchen and living area separating the bedrooms, air conditioning, and a full length patio/deck area with a splash pool. The villas each sleep up to 4 persons. They offer private bathrooms and mini kitchens and a breakfast bar with stools overlooking the mountains. Privacy doors connect to an adjoining villa so friends and families can stay together yet still have privacy. Board and bike rentals also available. 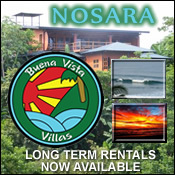 AFFORDABLE LONG TERM RENTALS NOW AVAILABLE! 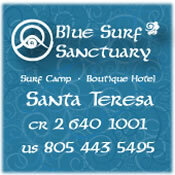 We want surfers to stay with us for the entire surf season! Description: Tucked away in the astounding beauty of the jungle, just footsteps to the sand and one of the world’s most beautiful and uncrowded beaches, Harbor Reef is the essence of “pura vida,” surpassing anything you can imagine in a vacation al paraiso; at a surprisingly reasonable price. The peninsula’s first dedicated surfing resort, Harbor Reef remains the premier choice for those seeking what the Natural Geographic Adventurer declared one of the world’s Top 20 surf locations. The surf of Playa Guiones offers a challenge for the seasoned and opportunity for the beginner. And between the early morning and late afternoon sets, take advantage of attractions ranging from the rush of a canopy-top zip line to a lazy kayak paddle up the Nosara River. You’ll discover something new about yourself. Harbor Reef Surf Resort has it all, featuring a pool-side restaurant renowned for local fare from farm and sea, a roof-top smoothie bar and full concierge service to take you to remarkable local attractions. La Ponderosa is also a great place to see wildlife. Macaws, parrots, toucans, iguanas, monkeys and more can be seen right outside your room. Explore twelve acres of nature trails. The resort has well-established trails through our gardens, orchards and forest. You will find staircases and bridges leading to their waterfall and lookout tiki hut. Email us now to confirm a reservation. 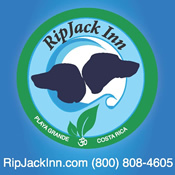 These comfortable accommodations work perfectly for couples, groups or families.